The VF8 couplings for braking systems of agricultural trailors meets the ISO 5676 / ISO / TC23 / NFU 16-006 standards and are 100% interchangeable with the rest of the sockets manufactured under these standards, such as, VF, IFR, PFT, VF8T, VF8R, VB, BP, 074F, TB, 5676, BK, Q9000, VFL1222, VFL3022, VFL3021, VFL3020, 3800, among others. The Trailer Brake Couplings VF8 are manufactured in carbon steel and are used mainly in the brake system of agricultural trailers, tractors, seeders, brush cutters, sprayers …. 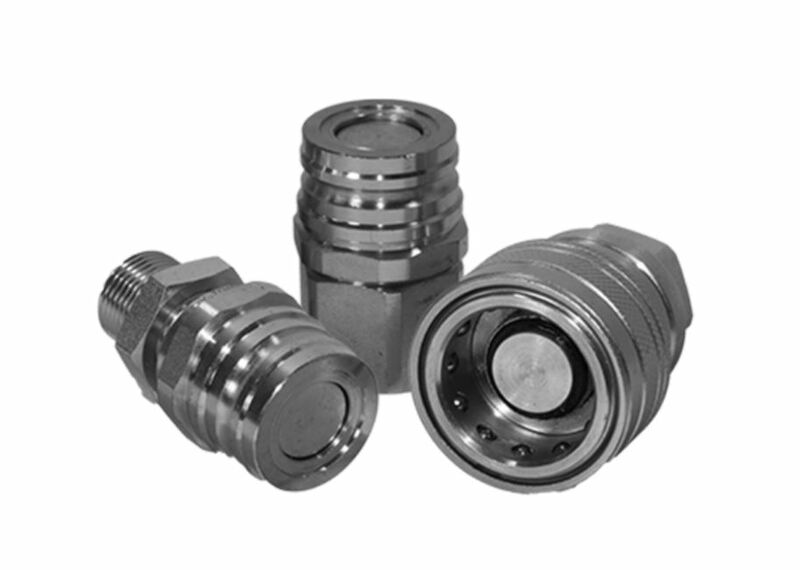 The Trailer brake couplings of the VF8 series have a metal plug that works as parking (Parking Station), when the hydraulic hoses are disconnected, thus preventing them from being damaged, we also have available plastic plugs for the male parts of the Trailer brake hydraulic coupling.